Often the description of France is "an extraordinary country." This is particularly true for one of the most popular cities in the country of the Gauls - Nantes. A tour of the island of Nantes, and the magnificent Museum of Natural History are two of the required destinations in the French city. Nantes is located in the western part of France, just 50 kilometers from the shores of the Atlantic. It is located on the right bank of the Loire River. Loire and its tributaries Erdre and Sèvre won the French city the nickname "Venice of the West." Nantes is the most developed city in the province of Brittany and is often considered a shining example of local cultural traditions in this part of Provence. The city is located in a region de Pays de la Loire. The castle of the Duke of Brittany, situated on the left bank of the River Loire, is where you can marvel at the ancient buildings and learn more about Brittany and its management. Chateau was built back in 1207. It was the residence of the Duke of Brittany between 13th and 16th century. Since then it has owned by France. Today the enchanting castle houses the Nante History Museum. In the complex you can also find delightful restaurants and souvenir shops. Another remarkable building is the Nantes Cathedral, also called the Cathedral of St. Pierre, located near the chateau. It is one of the last Gothic cathedrals in France, built after most of the medieval religious temples were completed. Although construction of the building began back in 1434 and ended only in the 19th century, building is a symbol of harmony of architectural styles over the centuries. It consists of two exquisite square towers, about 100 meters long. The interior of the cathedral is also amazing. In the temple there is a small museum with religious relics. Another emblem of Nantes is the Basilica of Notre-Dame de Bon-Port. It was built in 1846 and its official name is the Basilica of Saint-Louis. It is characterized by the magnificent dome on which is a sculpture of the archangel St. Gabriel. Among the most beautiful churches you can visit in Nantes, is the Basilica of Saint Nicholas, built in 1844 is also the Church of the Holy Cross. The city has two mosques - Mosquée Arrahma and Mosquée des Turcs. In Nantes there are some admirable museums including the Museum of Fine Arts, built in 1801, the Museum of Natural Science, and Museum of Jules Verne, telling about the life and works of the great writer, whose hometown is Nantes. The center of Nantes also carries the whiff of antiquity. Among the most famous is Passage Pommeraye, representing the passage between two streets. Nightlife in Nantes is also determined by many tourists as "unique". In Nantes there are some great clubs and bars with live music. Each of the eleven districts of Nantes is a kind of historical landmark. Much of the city's historic buildings are extremely well preserved and today tell of the history of their city, and France. Historians say the city was founded 70 years before Christ and bears the name of its old settlers – a Gallic tribe known as "namneti". Several years ago the prestigious media Time magazine defined this French city as "the right place to live in Europe". Nantes is the sixth most populated city in France. 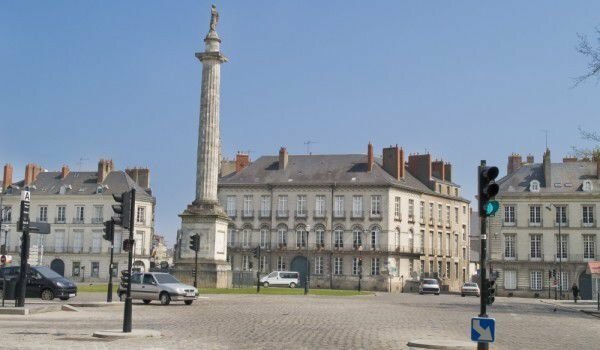 Against Nantes on the south bank of the Loire is the town of Resen.